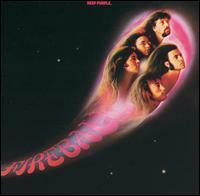 Fireball is an album by English rock band Deep Purple, released in 1971. It was their fifth studio album, and the second with the classic Mk II lineup. It was recorded at various times between September 1970 and June 1971. It would become the first of the band's three UK #1 albums. The album was certified Gold on July 26, 2001 by the RIAA, selling 500,000 copies in the US.